Don’t you love lengthy worship team rehearsals that accomplish almost nothing? Yeah…me neither, but I have led a few. We often think that length equals quality, but a short, productive rehearsal is much more beneficial. As worship leaders, it is our job to provide tools that will help our team learn songs quickly while expecting them to pull their own weight. Coming to rehearsal unprepared once or twice is excusable, but if a habit forms, it’s time to have a talk. To have a healthy team, you must refuse to allow lazy, uncommitted people to stay on the team. Once you let one slide, others will start to slide. 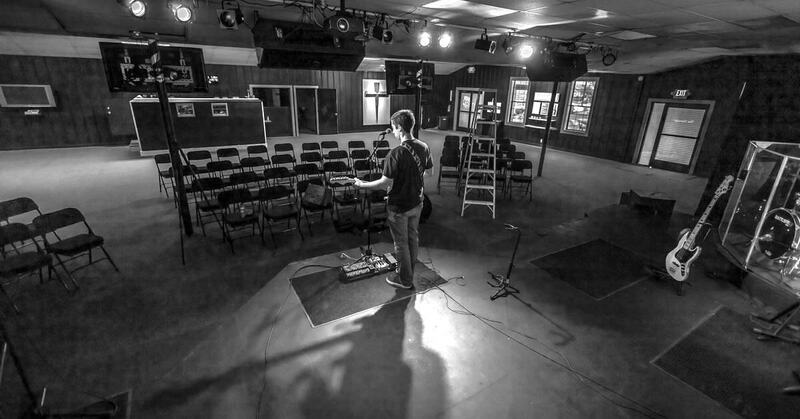 My motto as a worship leader is very clear: ‘Worship team rehearsal is not a time to learn your part, but to blend all parts together.’ This means that every worship team member should already know their part when the get to rehearsal; we will not take time for them to get it down. Actually, once you have this expectation in place, it will enforce itself. The unprepared person is always embarrassed in the midst of a prepared team at mid-week rehearsal. Amazingly enough, the unprepared person always shows up the following Sunday fully prepared, in just a few days time! I have been amazed at how embarrassment is such a great motivator. Send out the set list via Planning Center Online every Monday morning. Link to chord charts, MP3s, YouTube videos, and everything in-between within Planning Center. Mid-week rehearsal should be no longer than an hour and a half. During rehearsal, clearly communicate what needs to change, giving the team a few days to work on it before the service. Pre-service rehearsal and sound check should last no longer than an hour. One of the biggest time savers during rehearsal is to be direct. Don’t keep playing things over and over hoping they will figure out whats wrong so you don’t have to hurt their feelings. Just let them know and get on with it. Keep in mind that you should point out good things as often as possible. This serves as a buffer for when you need to confront things that are not so good. Four days. Are you serious? You expect your guitarists, especially your lead guitarist, to learn the licks and the effects setup in 4 days? Do you provide accurate tab charts of the solos as well? If not, you are putting undue pressure on them because it can be fiendishly difficult to determine if alternate tunings, capos or computers were used in the recording of a guitar track. Especially if your guitarists are normal human beings and have prayer, work and family lives. Do you also not practice those songs until they get them? What can I say, it just works. And how could I argue with results? I have not always done it this way, but started a few years ago when I read how a mega church in Tulsa, Church on the Move, follows the same protocol. When I first heard of it, I thought it was impossible but wanted to give it a shot anyways. To my surprise, it worked! I am extremely happy with the results, and so is the team. As far as undue pressure goes, no one on the team has ever complained. Rather, they are happy because the results are amazing: a team that is extremely productive and awesome at what they do. I post the chord charts and MP3’s on Planning Center 7 days before practice. Some of my team members that are really busy have the most time to practice over the weekend. I also used to try to post tutorials from YouTube to help my electric guitarists and drummers learn their parts. We’ve started using WorshipArtistry.com for that lately and it seems to be really helpful in taking them less time to learn parts. Hi: As a worship team member, how do you deal with a situation where the worship leader always changes the time for practice each week? He stresses that this time is important, but when it occurs is never consistent. This turns into a scheduling challenge for me and has become frustrating. Worship practice and everything surrounding it should not be frustrating!! Thanks. Wow. I can only imagine your frustration! If I were in your shoes, I would have a one-on-one conversation with the worship leader explaining this issue at hand. To make sure your concern comes across as sincere, I recommend starting the conversation by expressing your commitment to the team and desire to help make it the best that it can be. Hope this helps! You can lead worship without knowing an instrument, but it is definitely helpful to at least know the basics. Otherwise, it is tough to coach your instrumentalists. My recommendation would be to take piano lessons first, then take acoustic guitar lessons. The goal should not be to become an amazing player (unless you find that you really enjoy it), but to gain a basic understanding of each instrument. Although I have played piano for 10+ years, I no longer play during worship – I simply lead vocally, which I find to be much more effective. But, I am able to easily communicate with the piano player when they do something that doesn’t quite fit with the rest of the band. Same with the guitars as I have a basic understanding of how they work. Hope this helps! So, I live an hour and fifteen minutes from my church and so does my band (we’re all college students) while the singers mainly live around the church. Because of feasibility, the best practice time is before and after service. Our Sundays are long but it’s all we really have that works for everyone, especially with a long commute. I try to keep PCO updated weeks in advance, but we’re still having issues bringing it together. Any ideas on how we can make our practices more intentional and more productive? This is a tough situation, Camden. Recently, with my team, there have been more weeks than not that we have to skip Thursday rehearsal. So, we just meet earlier on Sunday mornings to make up for it. So, I definitely understand what you are going through. The only recommendation I have is to clearly communicate with your team that they need to show up to rehearsal fully prepared. They should know their part, roadmap of the song, etc. Of course, as the leader, you need to make sure they have all the materials they need (chord charts, mp3s, etc) about a week ahead of time. Remember, you must continually communicate your expectation – once is not enough. Plus, people get sidetracked and need reminded. Hope this helps! I’m fairly new at being a worship leader. In the short time our teams has been together (3 months), we’ve been used mightily by God which is super encouraging!! I’m 31, but my team mainly consists of youth/young adults ranging in age from 16-20. I’m having a hard time getting my team to practice on their own. In fact, some of them just don’t/won’t, even if they give me their word that they will. I’ll post YouTube videos on our Facebook page for each part and as much as I try to motivate them, they won’t practice. I’ve played guitar since I was 16, but by no means have I “arrived”. The majority of my team is still learning how to play their instrument/discovering different strum patterns/tempos, etc. This is kind of discouraging to me, as I want to do certain songs with the team but they don’t practice. Come time for practice, they get upset at the song I told them days beforehand we’d be working on. HELP PLEASE!!!!! Thanks for the comment, Joe. This is definitely a tough situation, but I have been there – and I am sure many other have the same struggle you do. First of all, make sure you are doing everything you can do to lead the team, including: sending out chord charts, lyrics and the set list at least 6 days prior to service. Make sure your team knows how to access the materials – I recommend using Planning Center Online. Then, sit down with each team member not coming prepared one-on-one and communicate your expectations. Do this in person. Explain why coming prepared is important and how it will help the team. Then, keep communicating this expectation each time they come unprepared – but do it in private (it is never good to correct someone in front of others). Being consistent in communication will do one of two things: make them quit the team or start coming prepared. Either way, you win. It is better to have a smaller team of prepared people than a large, uncommitted team. I am so grateful for your post. I would like to get your suggestion on this situation. I am the worship leader for almost a year and we have been through several transition and we currently have the same band members for consistency unlike a few month when we rotate players. Now our best drummer relocate just when we transition to a one band team and so we have a drummer who has the skills to play, however, since he has been playing worship just have not been the same to me. He plays loud and have been ask to not to play the instrument so loud. During rehearsal he is fine but on the day of worship service, he is resort to his same mode of operation with the loud playing and a lot of unnecessary beats just to show his skills. I literally have been praying and asking for direction how to address this issue. I sincerely believe he need training on how to play with a team and when to play soft or loud. Any suggestion? I think the answer here is just to continue to communicate the importance of playing softer and not becoming a distraction during worship. I know it feels odd to repeat yourself, but some people just need to hear it more than once. It would probably be good to also sit down with the drummer one-on-one and explain the main goal of the worship team. Then, help him realize how playing softer and not over-playing will help reach this goal. Kade, thanks for your insight of the many task or issue that worship leaders may face from time to time but, we have an smaller congregation of maybe 30-50 people and going from having hundreds to an small group the landscape of the music ministry and praise ministry has also. We had two ministers of music to relocate, and with the loss of auto industry jobs, there were some that had relocated also. So now we the fragments of what was left continued to seek God through his word, prayers, and worship, and not getting our identity in our gifts, abilities, or title but, that Christ would have the preeminence in our lives. So as to being responsible for the worship ministry, and having those that have and heart of worship, and not the skill set of the traditional worship ministry it has been as joy to not have confidence in the flesh, and to receive honor that comes from men but rather God. Recently, we had our former minister of music(lead guitarist) and his family has returned with the confidence “that we’re going to get the worship/praise ministry back on track” As an drummer/ turned keyboardist there has been an shift from then to now, whereas we are now corporately about to boldly come before the throne of grace, whereas before it was more speculative and performance based where the instrumentalist including myself would have many opportunities to show our abilities and gifting on our craft, and awaiting for those to tell us how great we had sounded. I now believe that less is more, and that there is simplicity in Christ and having that liberty and freedom is priceless, but how do we or I take what we have and to add to the body without the distraction of having skilled musicians seeking to receive honor that comes from men? I guess I’m not wanting our identity as worship leaders and musicians to distract the body from engaging with heaven but rather that we appear then disappear. Anything that pulls attention away from God and towards us can be counter productivity. We appear so that people can follow us to HIS presence, to be a living example of what to do…but once we enter into HIS presence we should try to disappear and allow God to have the stage. I agree with every word. I could have written this article myself and it would have come out the same. Great thoughts! Maybe it’s the ex-military guy in me, but I’ve always been tweaked at how musicians seem to have this elongated sense of time. If rehearsal is to start at 6:30, one or two musicians MIGHT roll in at 6:30, but they’re not set up, and everybody else moseys in 30-45 minutes later. It drives me nuts! From the day I started as WL at my church, I laid it down … we WILL start on time. That means if we say 6:30 pm, FIRST NOTE goes down at 6:30. If you’re late, we’re starting anyway, so you miss what you miss. Four years later, nobody would change a thing. Most of the band shows up EARLY for Thursday rehearsal. We’re in and out in an hour, and that includes prayer and devotion at the end. Everybody gets home to spend quality time with their families. The team really appreciates how we do things … they wondered how and why they ever did anything different. And the best part is that nobody skips rehearsals because there’s no reason to skip … we get done in time for you to have a life! Lay down the law. Start this week. Start on time, and you’ll finish on time. If you finish on time, people will reward you with preparation. And preparation, more than anything else, leads to time-efficient rehearsals. Totally agree! Thanks for the tip, Bob. How do teams handle figuring out song keys? As an electric guitarist it’s discouraging to come to a rehearsal when the band leaders are still figuring out which keys they will play the songs in. This makes it challenging to learn the parts and it often feels like the hours I’ve spent practicing are wasted (because I’ve learned lead lines in the wrong keys). Is it realistic to expect that all band members be able to transpose on the fly? Hey Casey – I do not expect my worship team members to transpose on the fly…except on a very rare occasion. Usually, the key has already been picked and everything loaded into Planning Center for that specific key. Now, knowing how to transpose on the fly is a great skill to have, but a challenging one to acquire!